A SENATE inquiry into the conduct of the LNP due to be held in Bundaberg today has been postponed. Petersen visited Alexandra Park yesterday to meet his party's Bundaberg and Burnett candidates. "It's been postponed to a later date," Senator Lazarus said. "The committee hasn't met as yet, but unfortunately a lot of our witnesses weren't able to make those dates. Unfortunately Mr Newman called an election, the dates were locked in last year." Senator Lazarus said the witness list was approved last week. "But unfortunately when we called them, they weren't able to come, so we postponed it," he said. "But we have every intention of coming at a later date, absolutely." Current MP for Bundaberg, LNP's Jack Dempsey yesterday slammed the comment, labelling the entire inquiry a "political stunt" by the Palmer United Party. "And it's funded by the hardworking taxpayers unfortunately," he said. "It just reinforced the chaos and instability caused by PUP and the minor parties." But it's not the only inquiry PUP wants to launch. If elected, Mr Bjelke-Petersen yesterday said the party would launch an investigation into why the price of power was so expensive for Queenslanders. 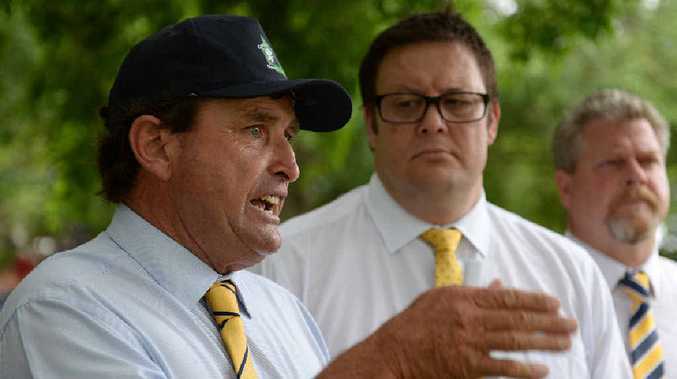 He said the Palmer United Party also supported calls from the Australian Sugar Industry Alliance (ASA) for immediate power price relief and the establishment of an inquiry into government-owned distribution network service provider (DNSP) Ergon. "For the sugar industry, Queensland's largest irrigated crop, the impacts have been profound and jeopardise its sustainability. Continued price rises could devastate the industry and many rural and regional townships tied to its fortunes." Mr Bjelke-Petersen said if Campbell Newman and his LNP government went ahead with their plans to lease state-owned assets such as power stations, electricity prices were expected to explode. But Mr Dempsey again disagreed and said leasing assets in other states had been shown to decrease the price of electricity for the consumer. "Ernst and Young conducted an independent audit that showed that as well," he said.